It’s hard to believe the Paint-In is coming up so quickly – 2 more sleeps! 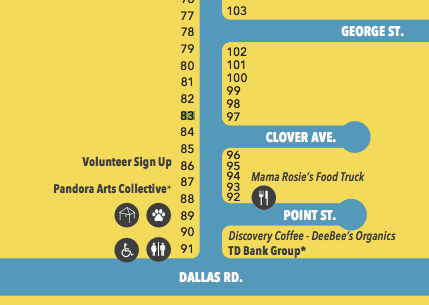 I’ll be set up on Moss Street, near Clover Avenue; #83 on the map above. You can read more about the event here. I’m looking forward to seeing you there!